Still searching for that statement piece that will make you stand out from the crowd? At $790, a golden necklace in the shape of, well, in the shape of your most ‘personal’ of possessions is perhaps just the high-end collar-topper you’ve been looking for. Created by Tom Ford, the man that had a Gucci ‘G’ shaved into a model’s pubic hair for an advertising campaign, the AW14 necklace comes in three sizes (small, medium and large obviously) and two colours (gold and silver). Whether or not you live by the motto “if you’ve got it, flaunt it” – which clearly Ford does – outrageous accessories have managed to carve out their place in the industry, accounting for £1.2 billion of the UK’s market share. 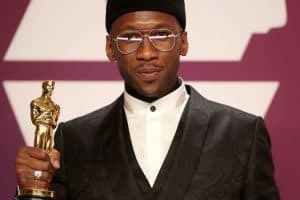 But while that may well be the novelty market, style leaders and fashion designers have been trying to make them a ‘must-have’ adornment recently – and this trend looks like it’s clearly going to carry on into SS15. 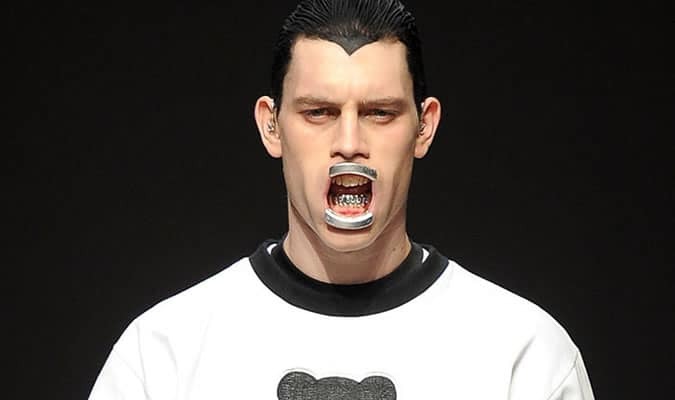 Inspired by Edvard Munch’s famous painting, ‘The Scream’, Crocetti’s mouthpieces gave Bobby Abley’s mouse-eared models a tortured edge. Alan Crocetti jewellery is available directly from the designer. These Comme des Garçons knee-scrapers are inspired by Mexican Pointy Boots (that is genuinely the technical term). Although not advisable to walk in, what they lack in casualness they sure make up for in novelty. Curved Toe boots will be available from February 2015 at Dover St Market. Slip this over your head and someone might mistake you for one of the burglars in Home Alone. But it’s not criminals hiding underneath Umit Benan’s balaclavas, they’re ‘taggers’. Benan’s ‘Art Made at Night’ theme for AW13 lent itself perfectly to the graffiti artists who conduct their creativity after dark to avoid identification. Every tagger leaves their calling card, and according to Benan, a balaclava is how they’re best concealed. Umit Benan is available from The Corner. “But first you must face my blades!” Sorry, we had to get in a Shredder quote. 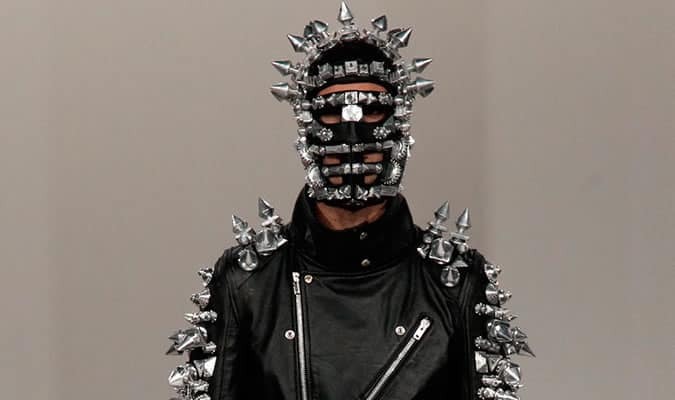 If you’re a passive-aggressive type, this KTZ spiked head mask says “don’t talk to me” in a most subtle way. It was inspired by a trip to Marrakech, where KTZ’s creative director Marjan Pejoski was influenced by ornate silver hardware. This particular design takes that influence to the next level, with Pejoski creating something reminiscent of an outfit found in Bowie’s Labyrinth. KTZ is available from Kokon To Zai. Stephen Jones’ headgear for Thom Browne’s AW14 collection launched itself into the animal kingdom for inspiration. The range came in two parts: the hunters (the hatless models), and the hunted (models adorned with Jones’ head pieces). But this particular hat blew all the other woodland creatures out of the watering hole with its eerie parallels to Frank – the mind-controlling, apocalyptic countdown bunny in Donnie Darko. Thom Browne is available from Mr Porter. Giving twee thieves even more of a reason to nab your pocket change, this Loewe elephant-shaped coin purse may be impractical for a night out, but it’s one of the most interesting leather/origami hybrid wallets we can remember seeing. Loewe is available from its online store. Land with an anti-gravitational thump in these Rick Owens statement boots. We’re hoping Owens is predicting a moon landing for SS15, because we would feel right at home in these metallic kickers. Hell, we could even get into the body paint thing. Rick Owens is available from its online store. Jeremy Scott never shies away from the playful. For SS15, demolition diva turned jewellery designer, Miley Cyrus, collaborated with Scott on his ‘Dirty Hippy’ collection. The range played tribute to Cheech and Chong, the 1970s comedy duo. This leafy green necklace could have been fished out of a party shop clearance bin, but since Cyrus gave it her seal of approval, it has somehow found it’s way onto the ‘want and need’ list of ‘style leaders’ across the globe. Jeremy Scott x Miley Cyrus will be available from the online store in 2015. Good luck pulling a Bonnie and Clyde in this Sibling crocheted face mask – it would get you noticed from half a mile away. Spouting hair like a Masai warrior, the mask was actually designed with the concept of struggling to belong in mind. “When you’re young, your hair can be your armour,” the design trio said of the headpieces. Sibling is available from Mr Porter.